← Weekly Photo Challenge: Fun! 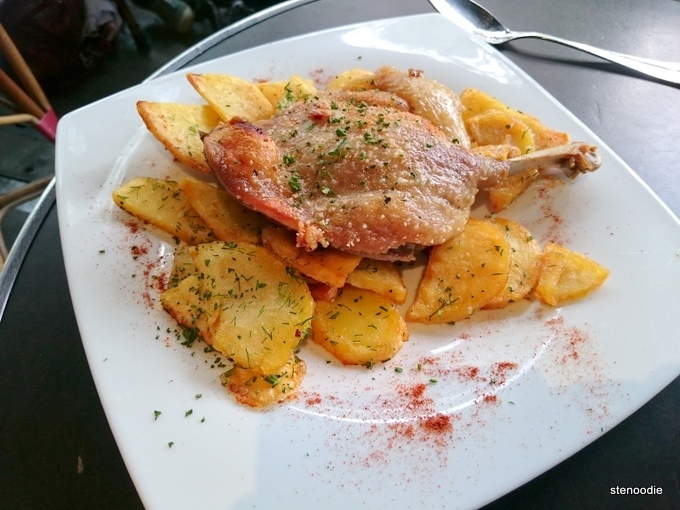 For our final meal in Paris, France before we flew out the next day, we dined at a truly authentic French restaurant called La Place, on recommendation from the tour guide. We quickly went in since our free time for dinner was limited (we had a guided city tour scheduled later that night around the city). 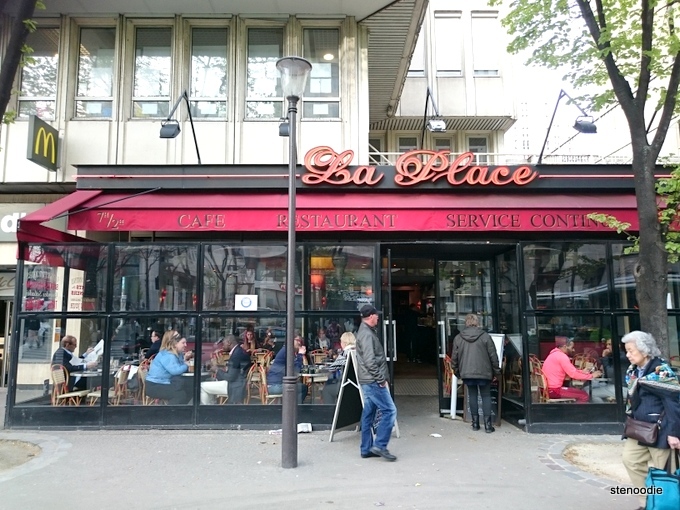 La Place had a dining lounge both inside and outside where their glassed-in outdoor patio was divided into a smoking and non-smoking section. 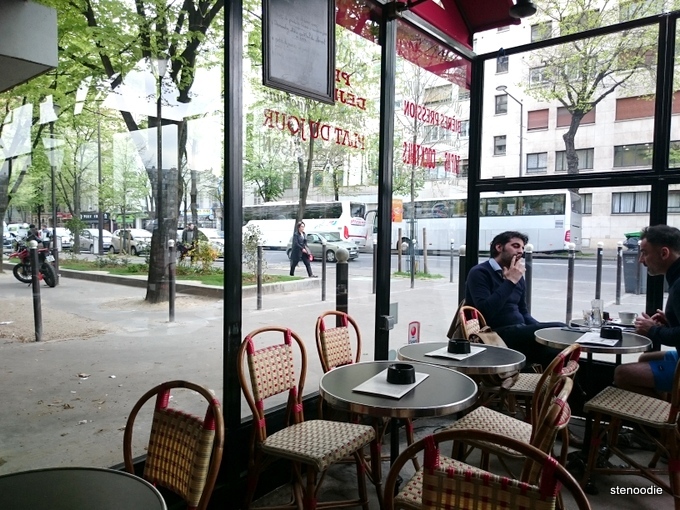 We definitely took advantage of the full Parisian experience and sat outside where the non-smoking section was. 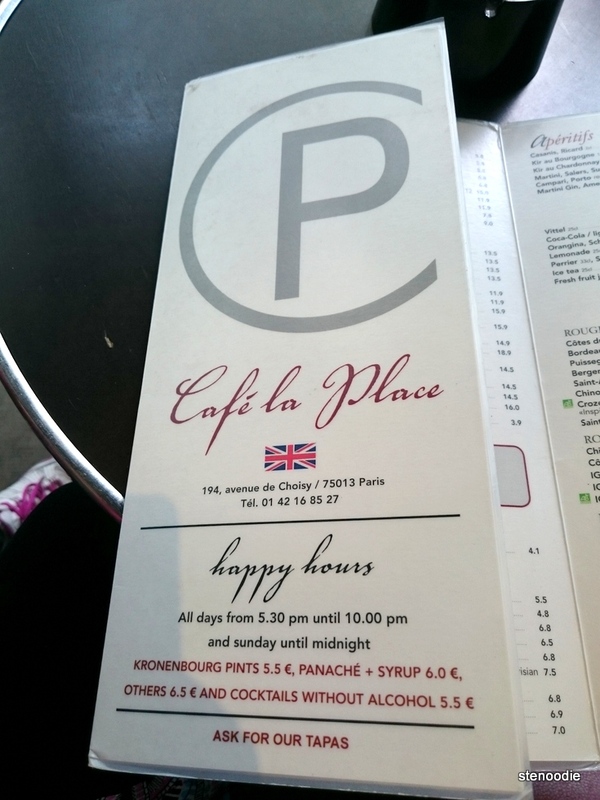 After a quick look at the menu, we knew what we wanted to enjoy for our last French meal on this trip. Luckily, the server was efficient and quick and understood our need that we wanted all of the courses to arrive all at once to save time — yes, even dessert. 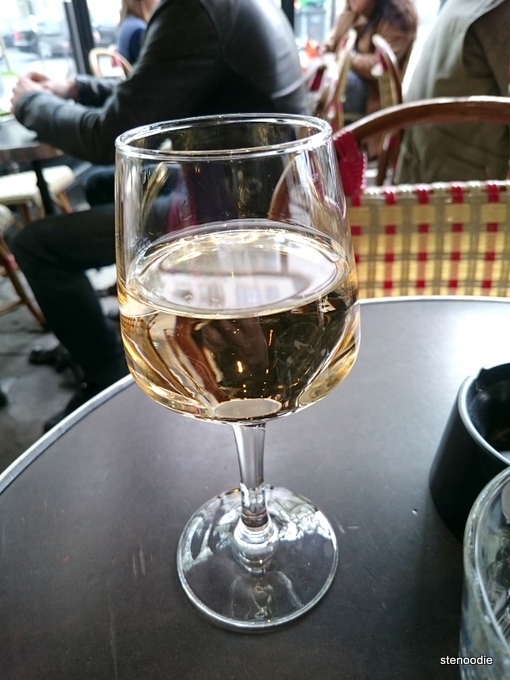 We ordered a glass of IGP Côtes de Gascogne (Colombard Chardonnay) to enjoy. It was perfect! 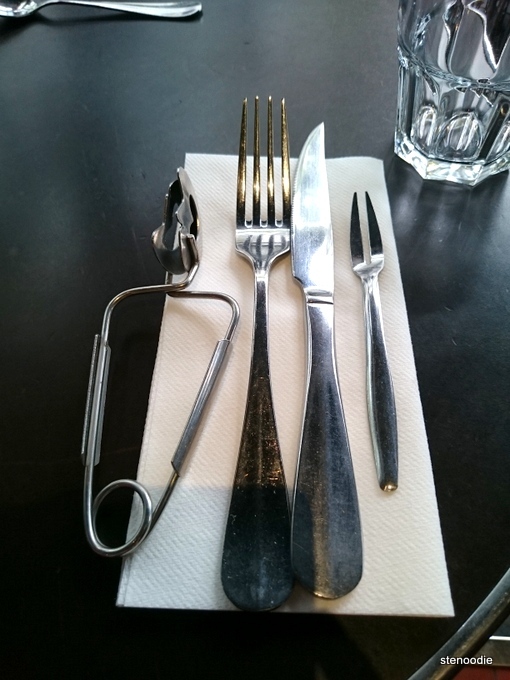 Utensils including tools for eating the escargots! 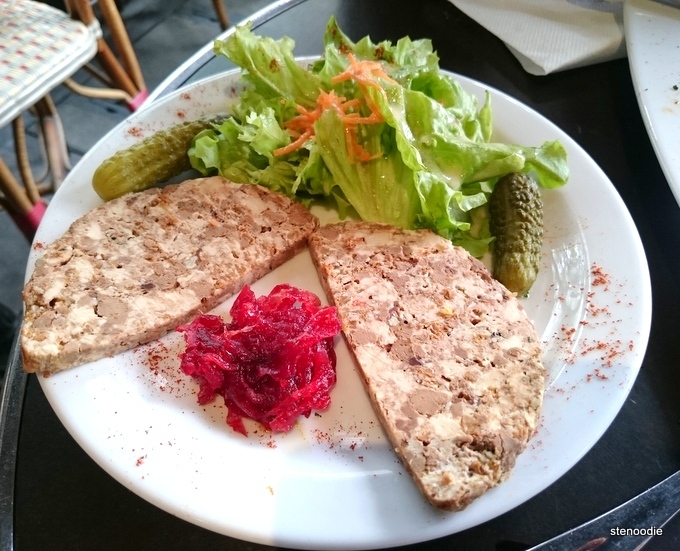 The Pâté from Aveyron came with homemade stewed onions. There were pickles and a salad on the side. 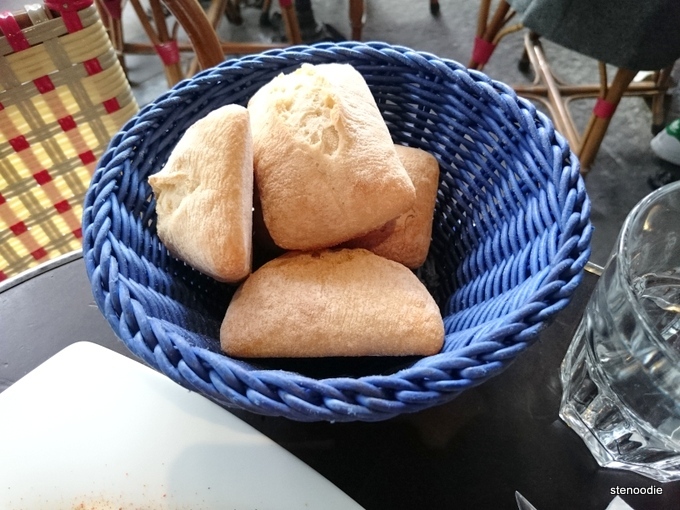 I ate the pâté with baguettes from the bread basket and really enjoyed it as well. 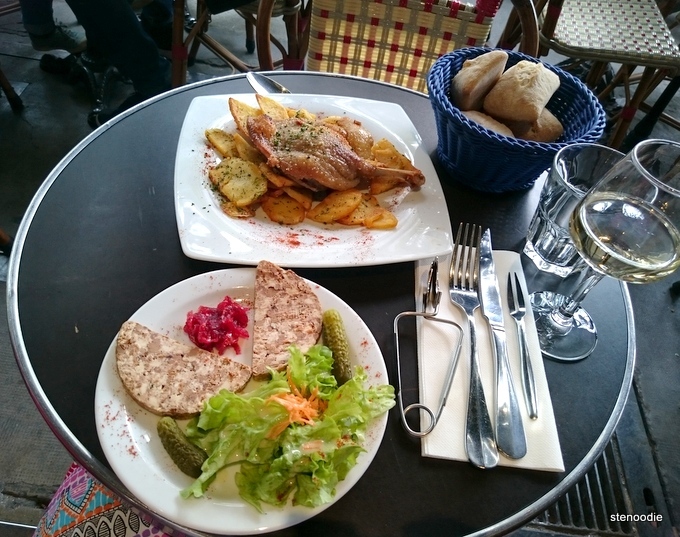 It reminded me of the pâté that we had on the second day in Paris actually except this one was much better tasting. 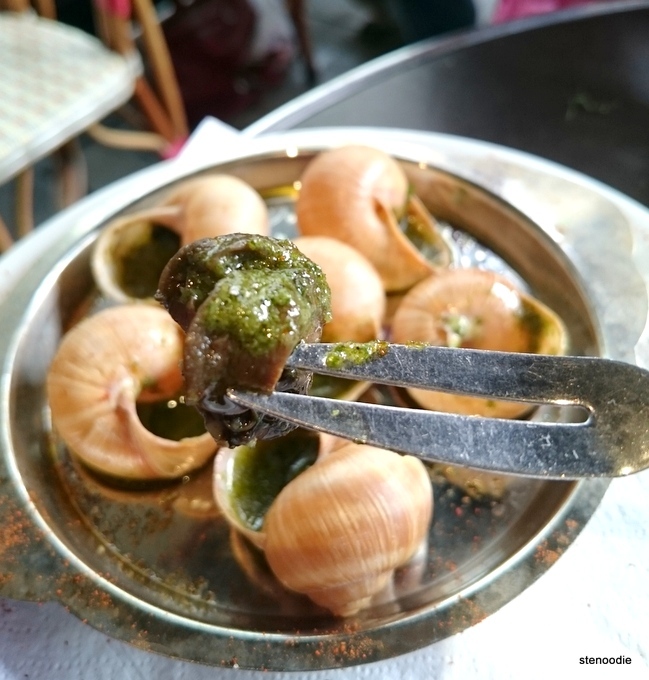 Of course, we couldn’t leave Paris without another round of those delicious Escargots (Burgundy Snails) with garlic and parsley butter sauce! 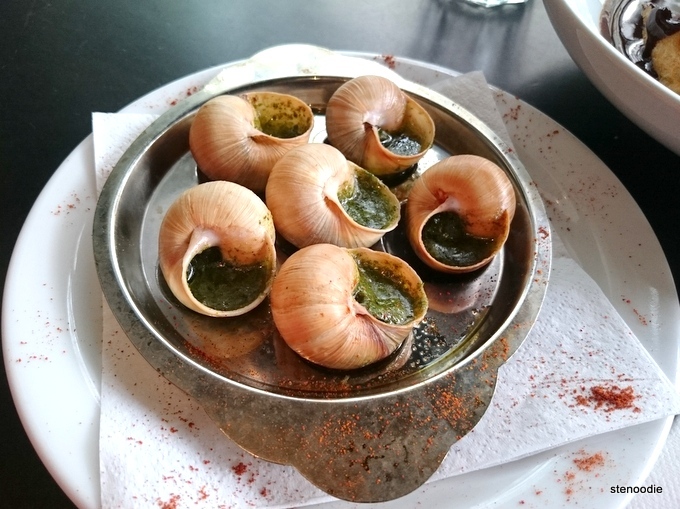 I am a huge escargot lover and these were just as delicious as ever. We were given escargot tools to extract the meat easily too! 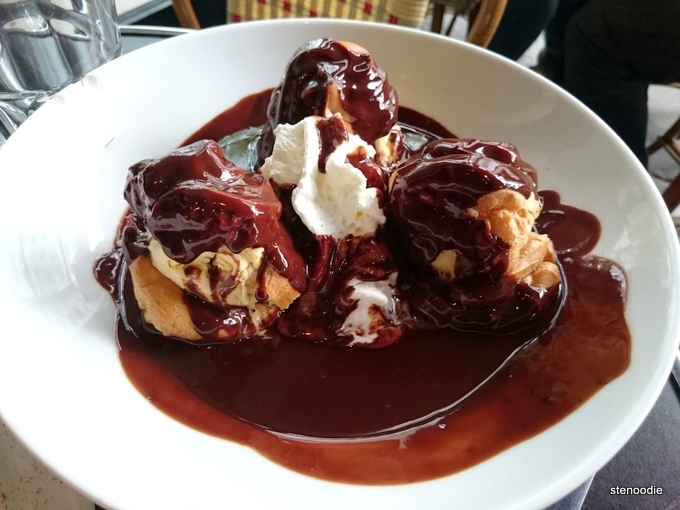 Last but not least, we enjoyed a classic French dessert was which the Profiteroles Chocolat (Profiteroles with Homemade Chocolate). 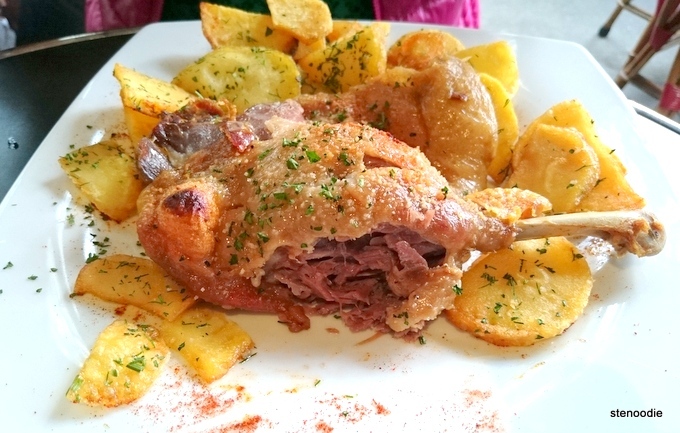 Mmm, even when this dish arrived to the table, I was already so impressed and excited to try it out. 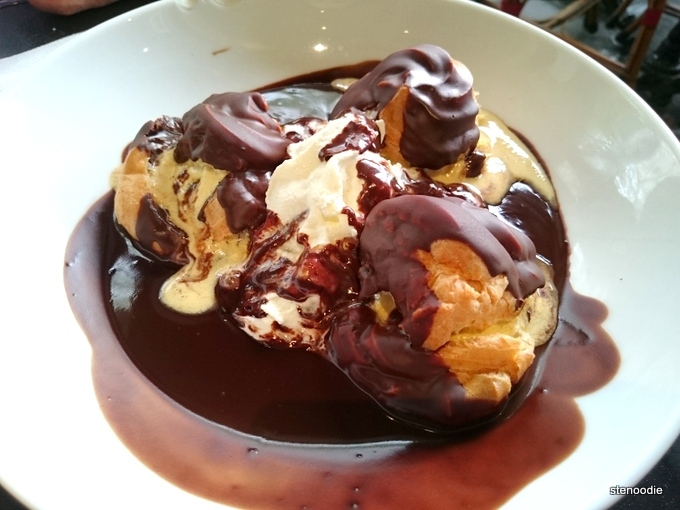 Slightly melted Profiteroles Chocolat but still looks good and tasted amazing! We finished dinner in time to meet up with our friends and then hop into our private tour van for a night tour of the city. 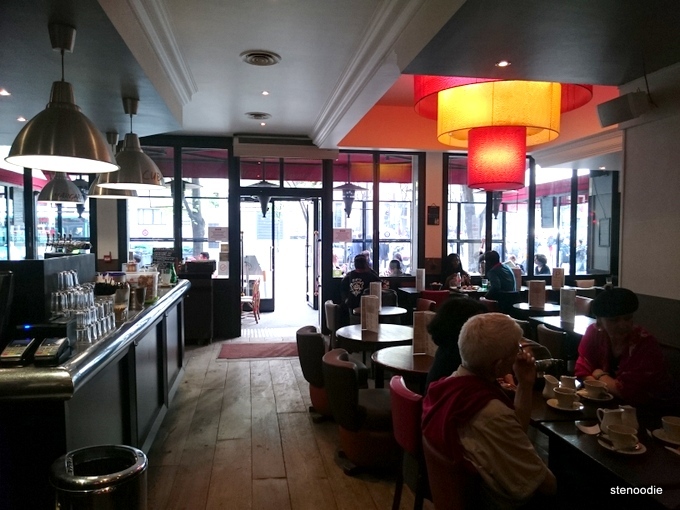 This entry was posted in Food, Travel and tagged 194 Avenue de Choisy 75013 Paris, Burgundy Snails, Canard Confit, Colombard Chardonnay, escargots, food blog, foodie, France, French, French food in Paris France, IGP Côtes de Gascogne, La Place, La Place restaurant hours, Paris France, Pâté from Aveyron, Profiteroles Chocolat, restaurant review. Bookmark the permalink.